2018 means the FIFA World CupTM! For its 3rd participation as a Branded Licensee, Hublot has created the watch that all football fans and Hublot fans have been waiting for! A smart watch that will instantly connect you to every decisive second of the matches being played at the 2018 FIFA World Cup™. A much-anticipated innovation that could not have been imagined by any other watch brand, given the extent to which Hublot and Football are as one. 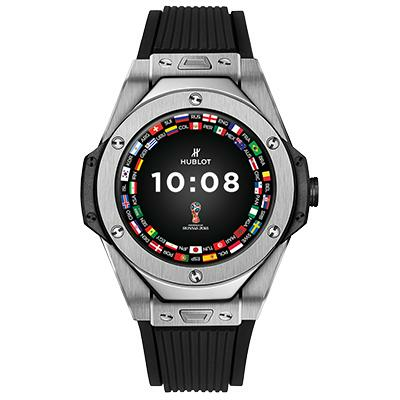 “The Big Bang Referee 2018 FIFA World Cup RussiaTM offers all the usual features of a smart watch of course, but that’s not where Hublot has applied its innovation and audacity. It brings together everything that inspires the passion of football lovers! 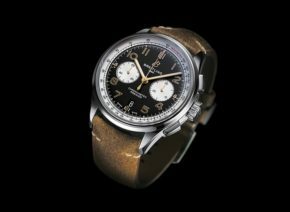 The FIFA World Cup is the Holy Grail of emotions for football fans, so just imagine what an object such as a watch that captures each and every one of its moments, its turning points, its stakes could suddenly represent? 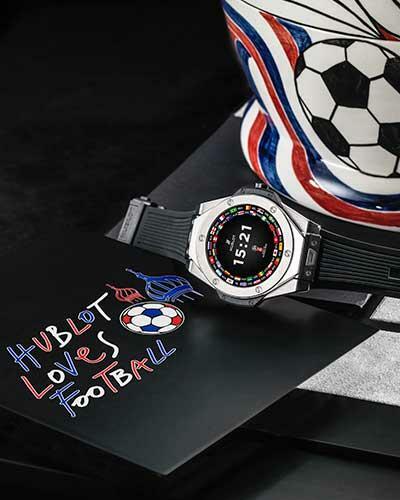 The football aficionados from among the brand’s friends have been waiting for this watch for a long time!” – Ricardo Guadalupe, CEO of Hublot. Beating to the rhythm of the football, the Big Bang Referee 2018 FIFA World Cup RussiaTM immediately shows its distinctive spirit as the personification of an application specially developed for the competition and a series of “fan” dials in the colours of each participating nation. Featuring several notifications, the Big Bang Referee 2018 FIFA World Cup RussiaTM announces matches 15 minutes before their kick-off, as well as yellow and red cards, player changes and goals. The Big Bang Referee 2018 FIFA World Cup RussiaTM vibrates, displaying the word GOAL instantly every time a goal is scored. During the match, the dial shows the match statistics including the score, number of cards, names of goal-scorers, player substitutions and match time. The digital world provides the Big Bang with even greater flexibility and versatility. A watch which—having emblematically borne the first Hublot manufacture movement, the most unusual and audacious materials, the most assertive colours—has been reinvented for the digital era by offering 32 dials inspired by the flags of the participating countries, and two neutral dials. It is available in analogue or digital versions. Thanks to its patented interchangeable “One Click” strap, the watch can easily be matched to one of its two straps. 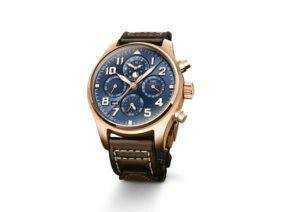 Two are provided with the watch, a cuff strap in sponge sporting the 2018 FIFA World CupTM emblem and that of Hublot, a black lined natural rubber strap. So as to perfect each fan’s kit, Hublot has also anticipated an additional strap for them in the colours of their country. In a turn of the dial, with the swipe of a finger, select your team or closely follow a competitor. The Big Bang Referee 2018 FIFA World Cup RussiaTM has already been tested discreetly on the wrist of the referees many times during the FIFA Confederations Cup 2017TM and the FIFA Club World Cup 2017TM. Benefiting from the Android living ecosystem, the Big Bang Referee 2018 FIFA World Cup RussiaTM has thousands of downloadable applications in addition to its competition functions. In terms of synchronisation, the Big Bang Referee 2018 FIFA World Cup RussiaTM is compatible with all telephones using Android 4.4 and above or iOS 9 and above. For charging, the watch just needs to be placed on a contact charger. For the first time, they will be wearing the Big Bang Referee 2018 FIFA World Cup RussiaTM with its smart technology imagined by Hublot. 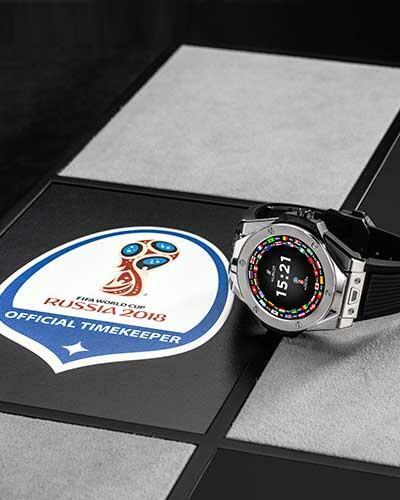 As well as all the functions available on the 2018 numbered models of the Big Bang Referee 2018 FIFA World Cup RussiaTM, the referees’ watches will be connected to goal-line technology, an electronic video assistance system for refereeing which follows all the trajectories of the ball and determines for certain if the ball did or did not entirely cross the goal line. On the pitch, the watchmaker will be ever present in the game as always, by sequencing time, changes and extra time to the rhythm of its Big Bang-shaped referee boards. A board that has proved itself, as it is behind Hublot’s greatest visibility during matches. 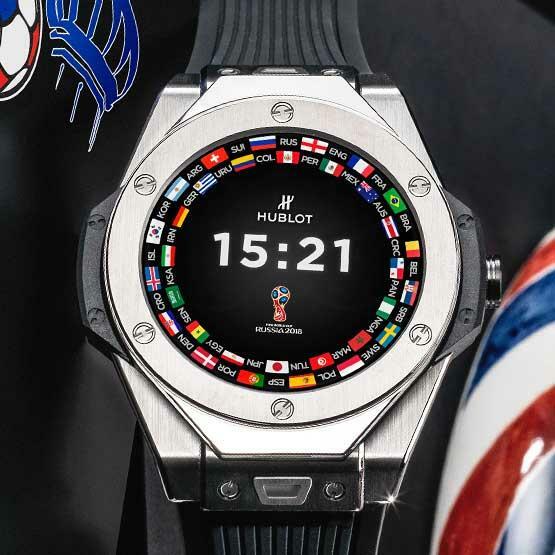 Let’s not forget, during the last FIFA World CupTM in Brazil, no less than 21 minutes of playing time were credited to Hublot! 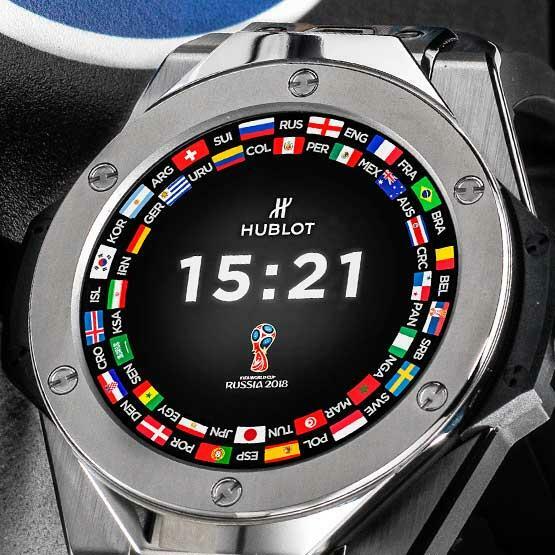 Having joined the world of football in 2006, by becoming the sponsor of the Swiss national team, Hublot is now top of the league. With its status of “FIFA Official Watch” and “FIFA Official Timekeeper” for the 2018 FIFA World CupTM, it has a total of three World Cups, three FIFA Confederations Cups, as well as three UEFA EURO editions, and three seasons of the Champions League and Europa League. On the pitch, just like on wrists, from its 4th official boards to its Retrograde Chronograph calculating the match time, and now the first connected football watch, Hublot is there for all the matches and all the wins! It has been said that the more passion shared, the stronger it becomes! 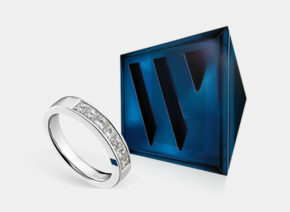 Armed with this adage, Hublot will welcome more than 1,000 guests throughout the competition. Android 4.4 and above / iOS 9 and above; Smartphones with AndroidTM version 4.4 or more recent, iPhone 5 or more recent, with minimum iOS version 9 or more recent. Supported features may vary depending on the platform.